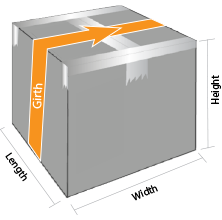 To ensure we can quote the correct shipping fee and issue the proper shipping label, it is important to select correct size of your items. 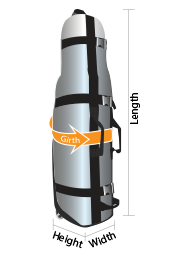 Both weight and dimensions (Length, Girth) are key factors for carrier to arrange and charge the shipment. * If there is weight difference between the item size you selected and the chargeable weight carrier billed us, we will refund/recharge the difference. 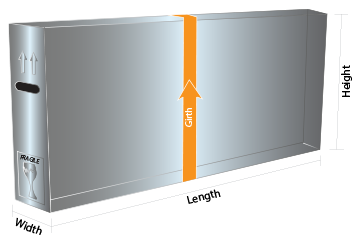 How to measure the Length and Girth? 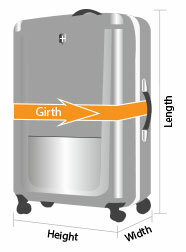 Carriers calculate dimensions from the widest point of each side of your luggage or box. 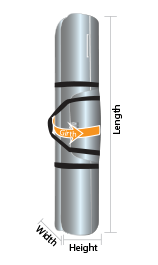 Please check following instructions on how to get an accurate number of the length and girth of your Item.